So, why outsource your software development? Outsourcing makes sense for cutting costs while reducing workload on the employee. Outsourced labor may cost 90% less than the same labor performed in-house in Western Europe or North America, particularly for low-level tasks. You won’t need to make any upfront investment, which makes development projects much more attractive. Software development takes less time when people are working on your applications around the clock, so you can get your product to market more quickly than your competitors can. When the internal resources of the company are not enough to globalize the company’s business, Outsourcing software development will bring new dimensions to manage a business worldwide. Business applications will be more sound and systematic for an overall performance. When you outsource, you don’t have to spend time recruiting, hiring, training, and housing employees for short-term projects. Outsourcing software development would streamline business processes. It will provide a focused strategy to have a competitive advantage in the technological race. Outsourcing software development would create an automated compliance system that will reduce human follow-ups in business processes. Offshore development will improve work accuracy in terms of given deadlines on a project. Defined software will deliver accurate results in less turn around time. Technology is evolving in different countries of the world. Companies thriving to gain competitive advantage are better off outsourcing software development. For technological prowess. You can mitigate risks by choosing an outsourcing firm that has a high-quality project management system and a tried-and-true process for developing applications. Several functions can be outsourced by a company in different departments. From management training to Accounting and Finance, outsourcing takes care of it all. Website development & web design are increasingly outsourced by almost all companies for better maintenance and timely upgrades. Outsourcing certain area of your business makes a lot of sense in order to maximize your profits in a small amount of time. Founders create businesses because they have a passion or expertise in providing particular goods or services to market and often get caught up on focusing on items outside of their expertise. Being a startup means there’s always more work to do, and not enough time to do it. It is easy to get caught in numerous non-value add tasks that take anyway from working on the business. That’s why most success startups outsource certain tasks to companies or individuals who specialize in providing valuable time-saving services for a fee. With all the advancements in technology, it’s easier and more convenient than ever to outsource. 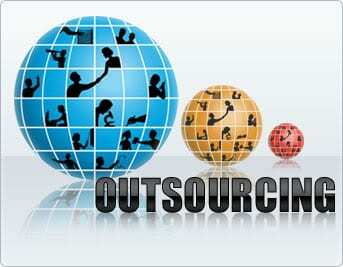 Here are five things you should consider outsourcing to experts. Most entrepreneurs are not Accountants. However, understanding cash flows or analyzing profitability of a business is vital to its success. Too often startups neglect building an accounting process until profits go downhill or cash slowly drains away. Setting up an accounting process for your startup is critical to the long-term success. An accounting process is also important because it allows your business to look forward. Startups or small businesses that that don’t have an accounting process in place find themselves trapped by past actions or constantly worried about having enough money to pay bills. In addition to accounting process, setting up an accounting system is important for your startup as it will allow you to see how your business is doing and allow you to make decisions to strategically position your business for growth. Look for a firm that does more than just bookkeeping. Partnering with someone that goes beyond debits and credits and gives advice on such things as cashflow will help set you up for success. Technology is vital to help provide necessary insights. 2. Graphic Design and Web Development. Coming up with a brand-defining logo, an attractive website, and print materials can be extremely time consuming and difficult to get right. Using a professional graphic designer will help your business look its best. They understand a lot of things that you may overlook. Whatever your goals, there’s a graphic designer with the talent, aesthetic sensibilities, and visual skills to fulfill your vision and enhance your company brand. Look for a graphic designer that offers web development to help streamline the process and provide a unified message. Prospecting for new business and keeping up with the latest developments in your industry can be time consuming and daunting. A web researcher can research information you, whether it’s gathering information and statistics for an upcoming presentation or looking up the names of companies and contacts for a leads list. They can also organize this material in a form that’s easy to use and read. If half your day is spent sifting through your overflowing email inbox, returning call and making travel arrangement, a virtual administrative assistant (VA) may be just what you need to streamline that frustrating process and keep you from being inundated by a constant stream of on administrative tasks that keep you from more value-added items. Before you waste your time on something that is not in your expertise, consider outsourcing. This will make your to-do list shorter and free you up to focus on the things you’re best at and that generate the most income for your business. The right size company for AaaS? What Size Company Benefits the Most from AaaS? Lavoie has had numerous conversations over the years with companies of all sizes regarding outsourcing or what we refer to as AaaS (Accounting as a Service). AaaS is a form of outsourcing that combines people, process and technology to help companies gain a strategic advantage. Some companies think they are too big to outsource any function. 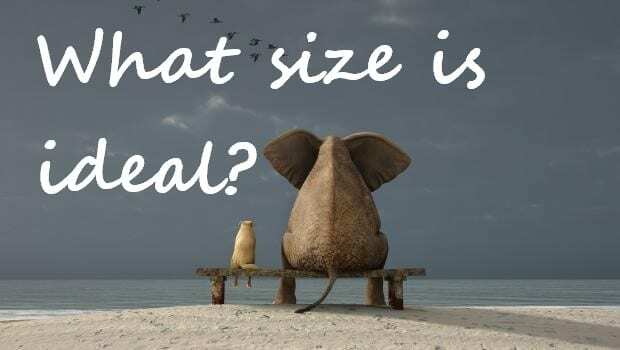 Others think they aren’t big enough. So, what is the right answer? They are both wrong! FAO (finance and accounting outsourcing) started nearly 20 years with BP outsourcing its accounting functions to Accenture. FAO has traditionally been a horizontal offering with a value proposition driven by cost reduction and efficiency gains targeted at large organizations. So clearly the argument of an organization being too big has its flaws. Smaller companies have been outsourcing payroll for years so they are already participating in a form of FAO outsourcing. The next concern we hear from clients is that they will outgrow services. This is certainly a possibility if you select the wrong partner that does not have the technology or staff to grow with you. For example, if a company is only providing bookkeeping services, it is certainly likely you would outgrow them. However, if a strategic partner is selected they will be able to grow with you and help you scale faster. Large organizations are most often driven to outsourcing for cost reduction. However, as market requirements intensify, FAO solutions are increasingly becoming more industry-specific to provide strategic advantages and not strictly cost reduction. In smaller companies outsourcing can also reduce costs, but more importantly it enables them access to a full finance and accounting team that leverages economies of scale. Most SMBs can’t afford to hire an entire F&A department. So, what often happens is the company may only have a senior level person and they are stuck doing daily tactical activities or they may only have a junior level person and they are responsible for critical items such as cashflow analysis. Both have obvious weaknesses that prevent a company from reaching its potential. 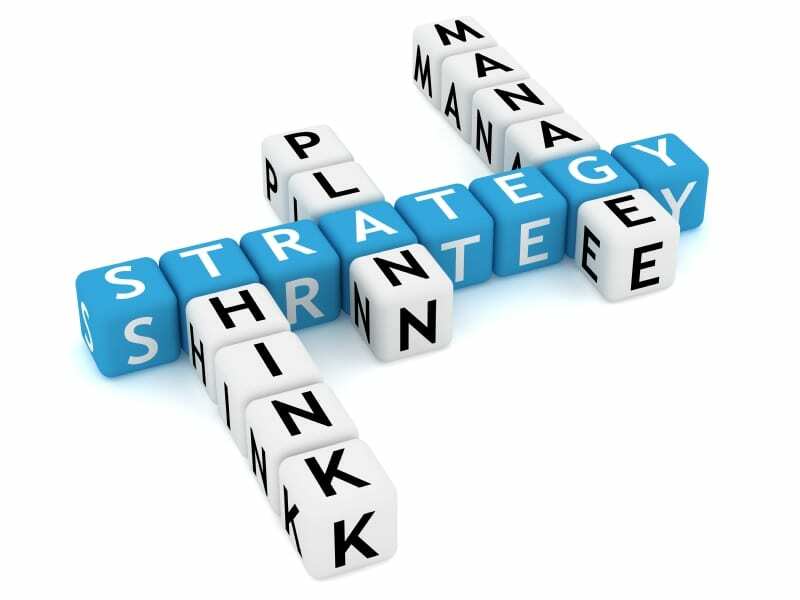 Accounting the Key Strategic Advantage? Most companies that are thriving view accounting as a strategic function. Companies relying on bookkeeping have a hard time keeping up in today’s changing climate. Bookkeeping by itself does not provide opportunities. In a fiercely competitive work environment, companies that properly manage finance can grow and protect themselves from risk. The opportunities are exciting for the future but it also comes with lots of challenges. Too many companies are stuck looking into the past because of lack of expertise and or technology. It is important to understand the past, but essential to have the knowledge and tools to be able to see in real-time and make educated predictions into the future. As companies grow, hiring and retaining qualified employees can be a difficult task with lots of uncertainty. 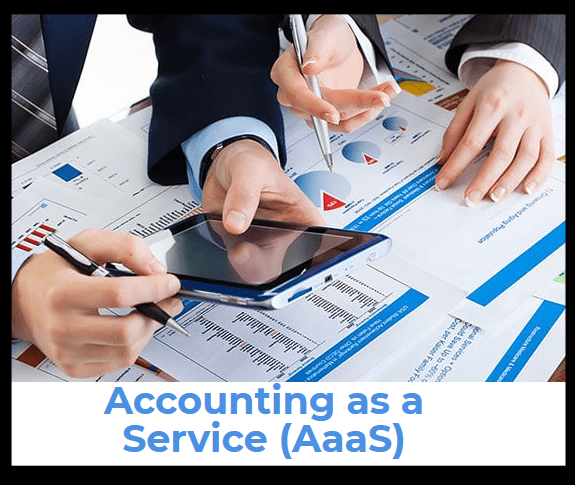 A growing number are relying on Accounting as a Service (AaaS) to gain a competitive advantage. AaaS combines tactical and strategic accounting and includes leading software. Forward thinking companies put themselves a head of the curve. Interested in learning more about Accounting as a Service? Contact us.